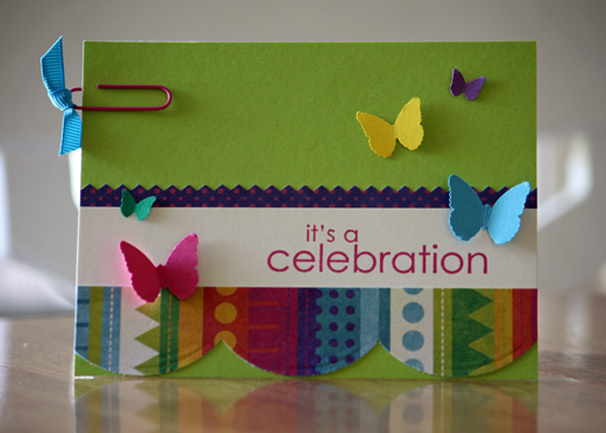 This card made me smile when I finished it....I know I could have added some stitching or other goodness, but I decided to keep it simple. I love the colorful butterflies. This card was defnitely a "throw together" and I got my inspiration from an old magazine clipping I had hanging out in one of my binders. I got so happy with the designing of this card that I failed to notice my rub-ons were on short supply, thus the empty space at the bottom. I don't think anyone will notice, do you? Lastly, I made this card Saturday night while we were hanging out....I bought a pack of sock-monkey paper at a garage sale a few weeks ago and just thought it was cute. I didn't know how I was going to incorporate it into my scrapbook pages when I bought it, but for $1.00 I didn't question it at the time. 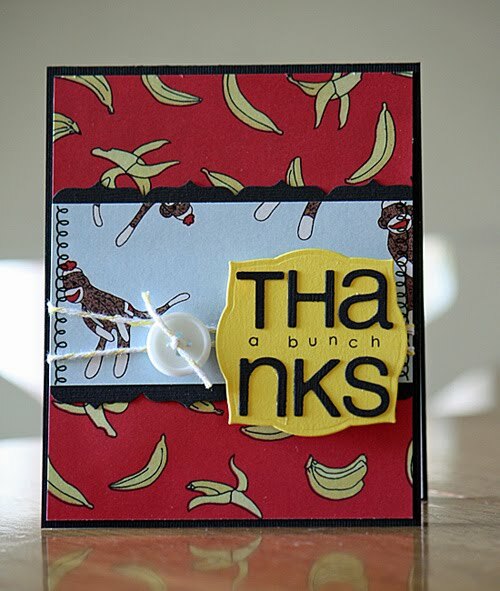 Anyways, I had two people that I wanted to share a "Thank You" with and designed two of these cards to give to them. I thought these turned out so cute....and I also passed out some "Funky Monkey" banana bread I had stashed in the freezer....I thought it was appropriate for the theme. Now, back to my box of cards...whatever shall I do with them? Got any ideas? P.S. 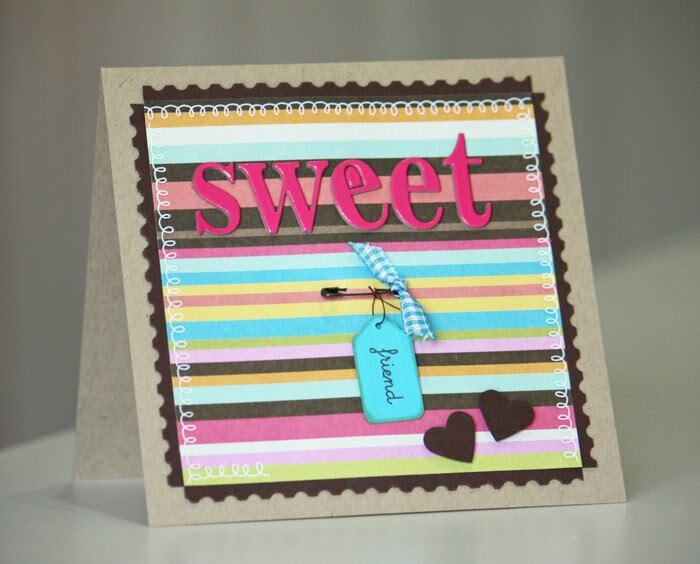 All of the stamped sentiments and letters are from Papertrey Stamps, my cardstock is either from Stampin' Up or Papertrey and the border punches include the jumbo scallop, bracket and postal edge from Fiskars or EK Success. Cute cards! Love them all. As far as the missing rub-on - you just say it was planned that way!! That sock monkey paper is what I needed last week when I was making a card to go with the sock monkey I made for my nephew.